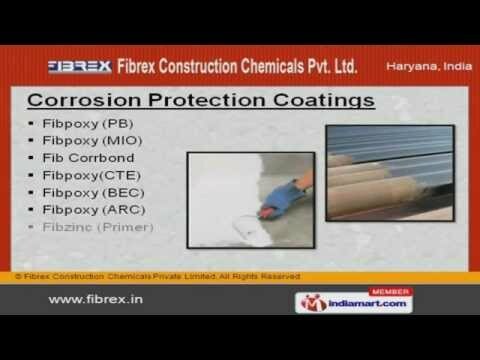 Welcome to Fibrex Construction Chemicals Private Limited, Manufacturer of Chemicals and Additives. We are an ISO 9001:2000 certified company, established in the year 1980. Our Well equipped infrastructure makes us the first choice of our clients. Timely delivery, Market leading prices and Ethical business policies help us to achieve an unrivalled position in the industry. We offer a diverse range of Floor Hardeners, Grouts Products and Repair Compounds. Our Waterproofing Coatings are best in the industry amongst others. Corrosion Protection Coatings offered by us are well known for their durability. Our Epoxy Flooring and Coatings are widely acclaimed in the market. We also provide Repair Compounds that are available at industry leading prices. Along with that we offer Curing and Sealing Compounds that are a class apart.